May is Older Americans Month. Easter Seals’ family of services for seniors is ever expanding to meet the needs and help promote wellness, independence and connectivity among the growing number of older Americans. More than 90 percent of Easter Seals revenue support programs that serve children and adults with disabilities. Last year, we provided services to over 1,000 individuals in our in-home services ,as well as our inclusive child care center, Tundra Tykes. Interested in In-Home Services? Read more. Whether it's a convalescence period or caring for a chronic or terminal illness, most patients wish to be home, surrounded by their family and friends. 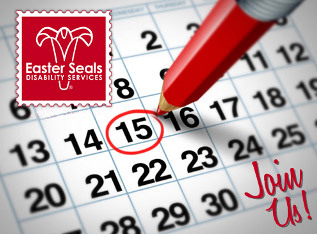 Easter Seals Alaska offers a variety of services to help people with disabilities address life's challenges.